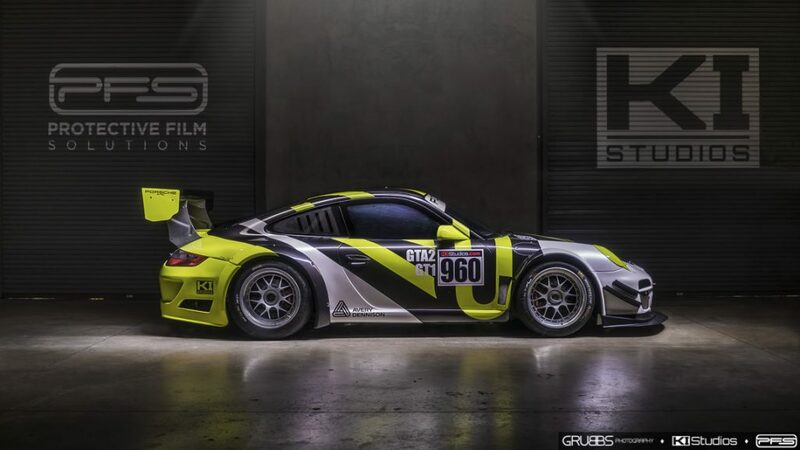 Here we have a car that wears a proper racing livery. 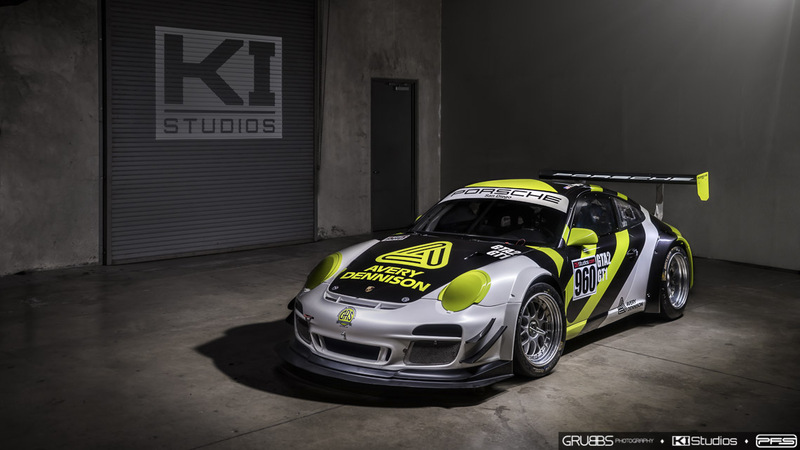 This is the Avery Dennison Porsche 911 GT3 Cup car. 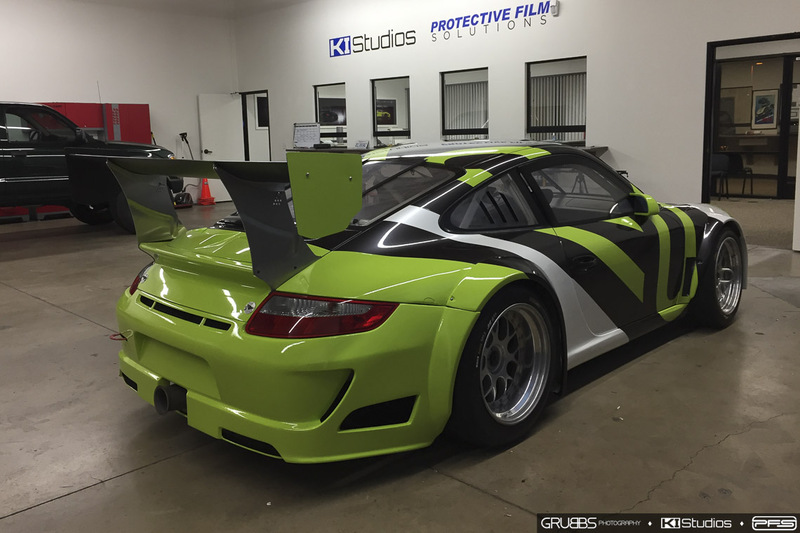 Unlike most cars that go through our shop, this 997 GT3 is a true race car. 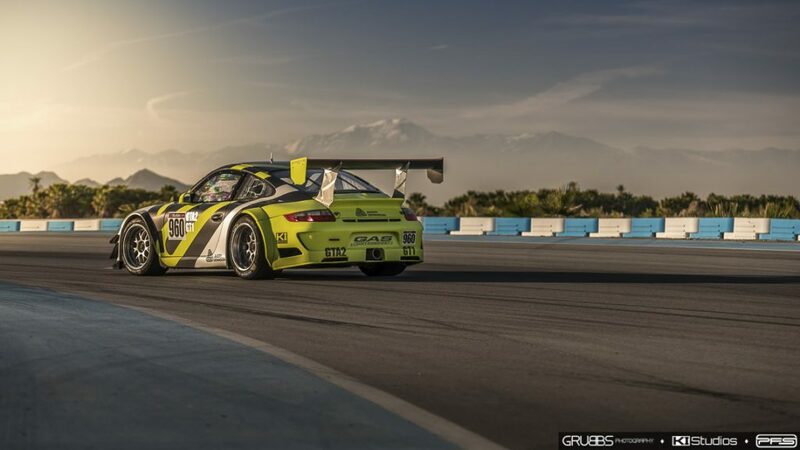 As you can imagine, the proportion of street cars vs race cars means that only a handful of cars are true racing vehicles. We get truly excited when we get to work on a race car. 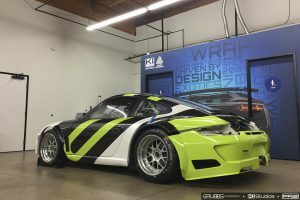 This Porsche is a true factory 911 GT3 Cup. 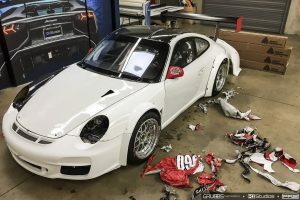 It is not a GT3 that was converted to a race car. 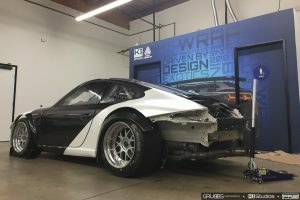 It has never been road legal. 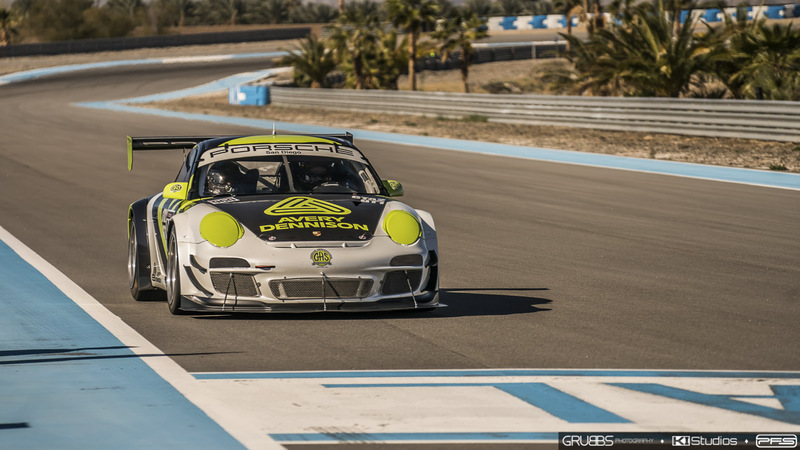 This car has seen quite a bit of wheel to wheel racing in the last few years. Before it became the official Avery Dennison Porsche race car, it was the Blackstar Racing 911 GT3 Cup. See the photo below by RallyWays of the car in its former guise racing at California Festival of Speed at Auto Club Speedway in Fontana. The car in its former guise. 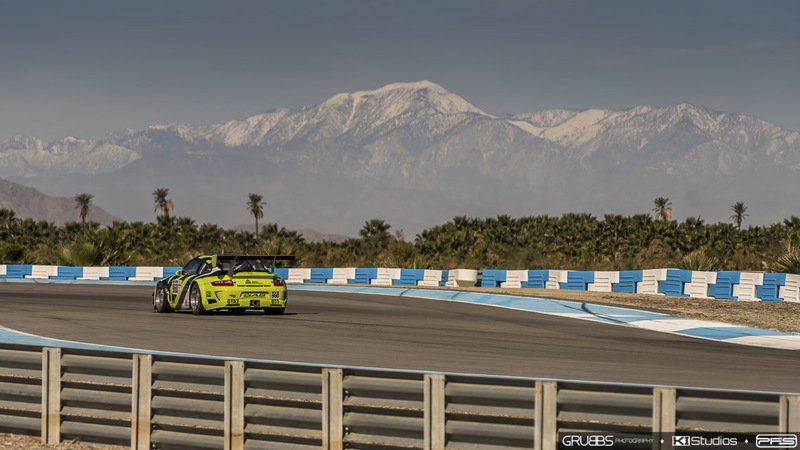 After the 2015 racing season, the car changed ownership. 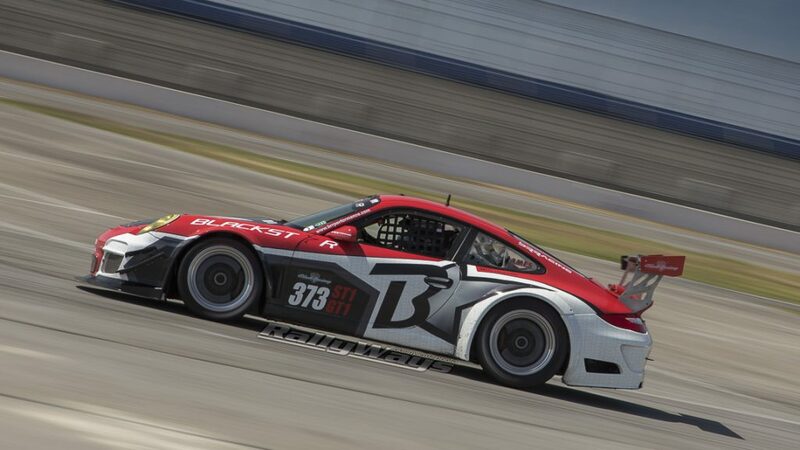 The new owner, Rob Phillips, races the car extensively. 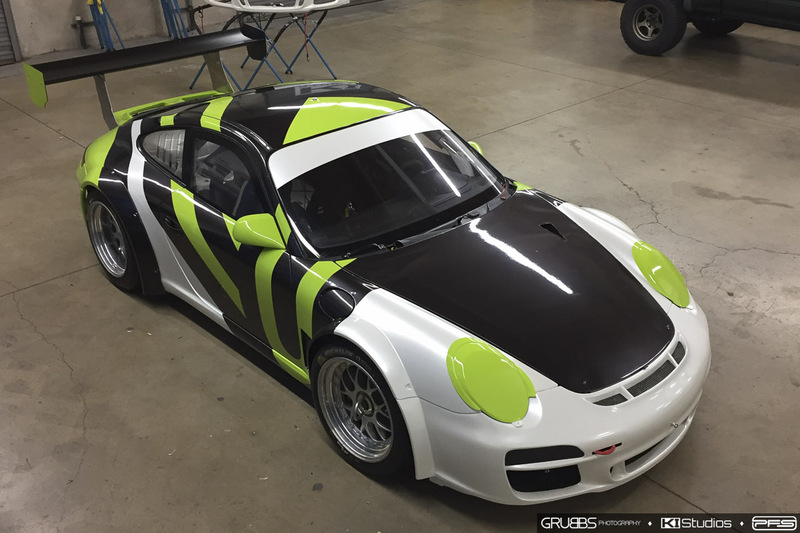 However, for the 2016 season, he was racing the car using a modified version of the previous wrap. For 2017, he decided the car needed a proper new look. After some post-season maintenance, the 911 GT3 Cup was ready for a new livery. 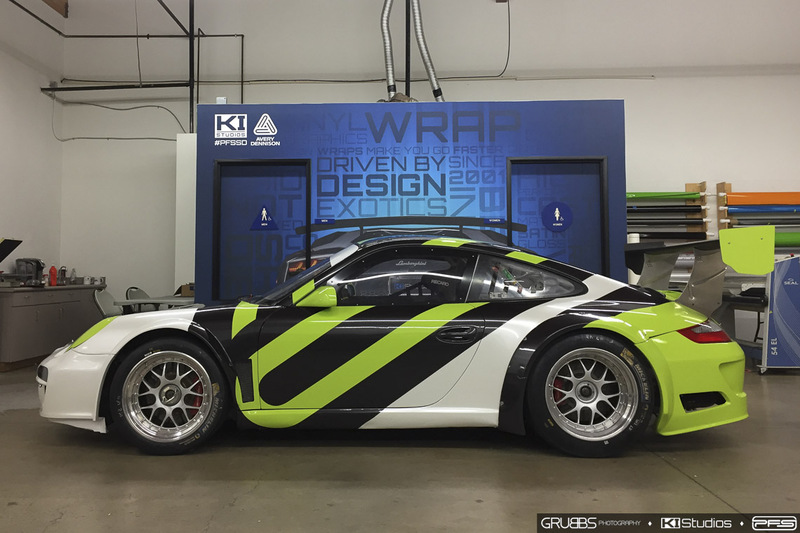 Kyle at Protective Film Solutions San Diego had originally designed the wrap back when it was the Blackstar car. Naturally, it was sent back to him for the new design and wrap. Avery Dennison agreed to come aboard the project and the work began. Once in San Diego, Kyle and I took it upon us to create separate design mockups to see what we could come up with. A few mockups laters, both design ideas were merged into one and the new livery was born. 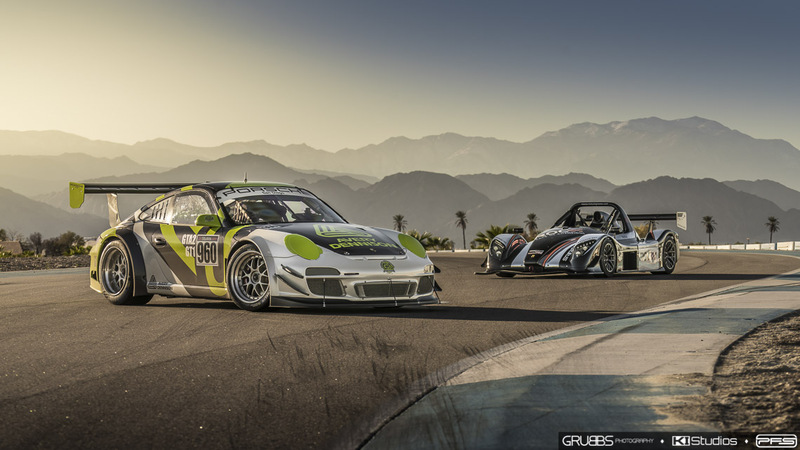 The design would be fully overlaid like traditional race cars, instead of using print. 3 colors were chosen of Avery Dennison Supreme Wrapping Film: Pearl Black, Pearl White and Gloss Lime Green. The bumpers should be of a solid color for easy replacement after any damage. A few days later the car was ready. 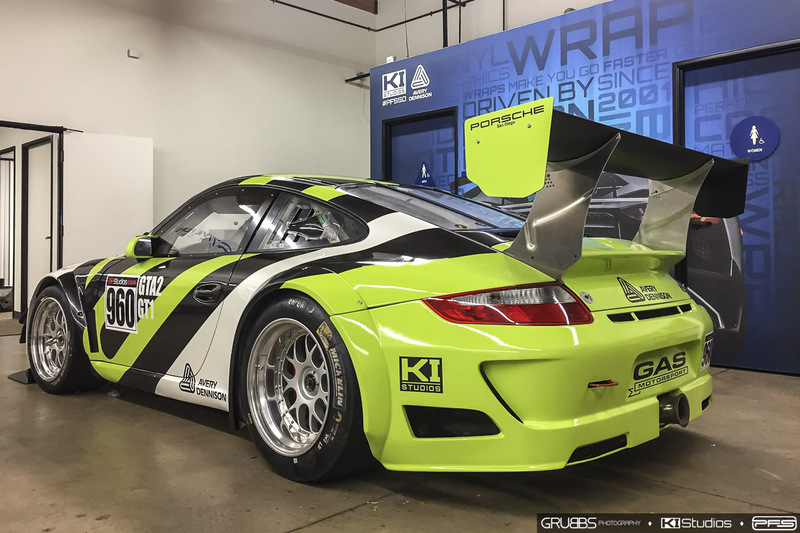 The design helped hide some of the battle scars from previous racing seasons very well. Immediately after the new Avery Dennison Porsche 911 GT3 Cup car left our San Diego location, it was back at the track racing. 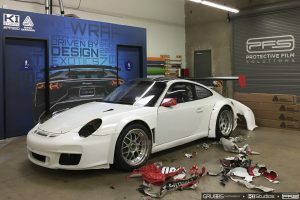 However, just before it left, Grubbs Photography stopped by to take some light painting photos of the car at the shop. Then, he returned with a knockout when he shot the car at The Thermal Club. See the track photos below!